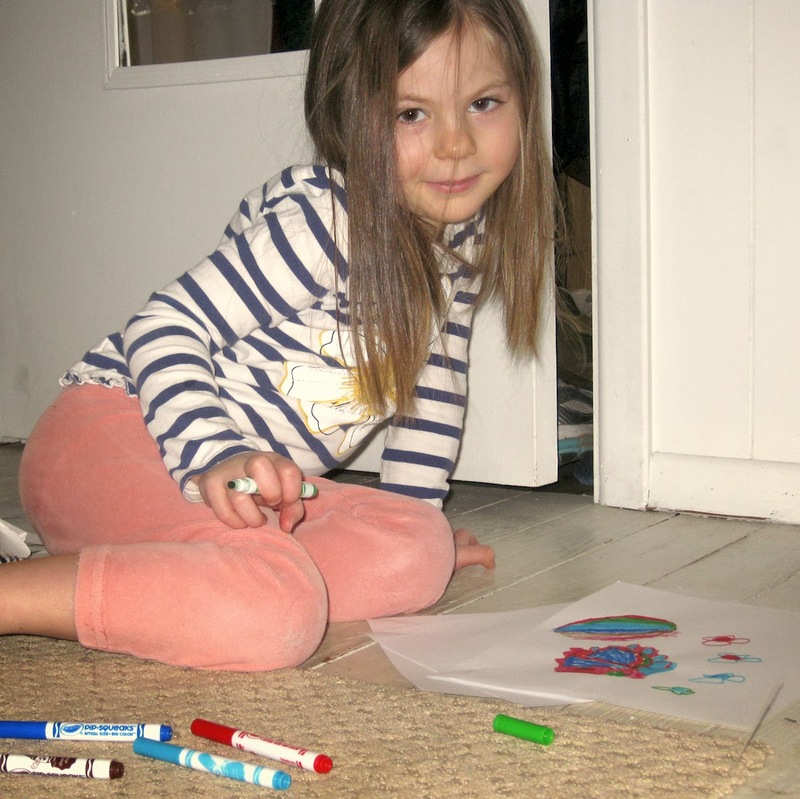 Snow day project with 4 year old Rachel: a greetings card with flashing illuminated LEDs. Cut out 2 pieces of stiff card. Trim them to the same size and shape. 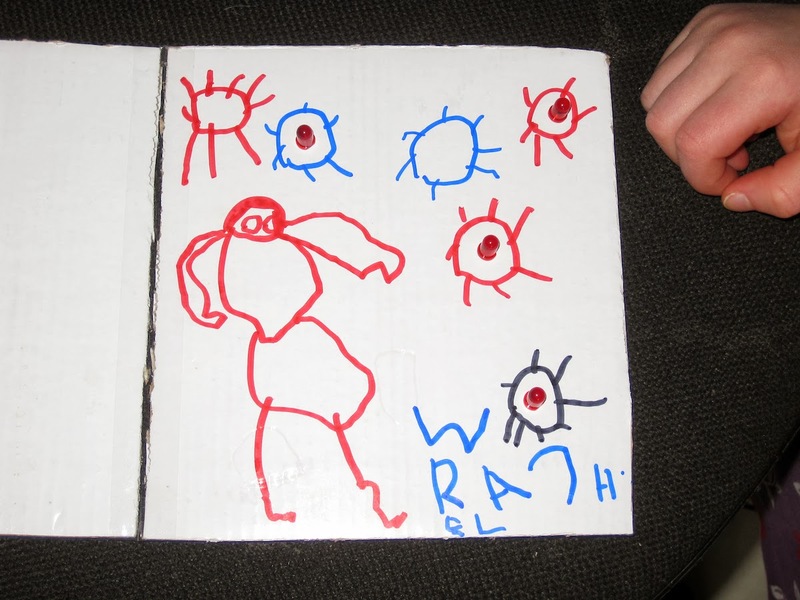 Draw a design on the front piece, then fold the cards back to back and secure the edges with transparent tape. 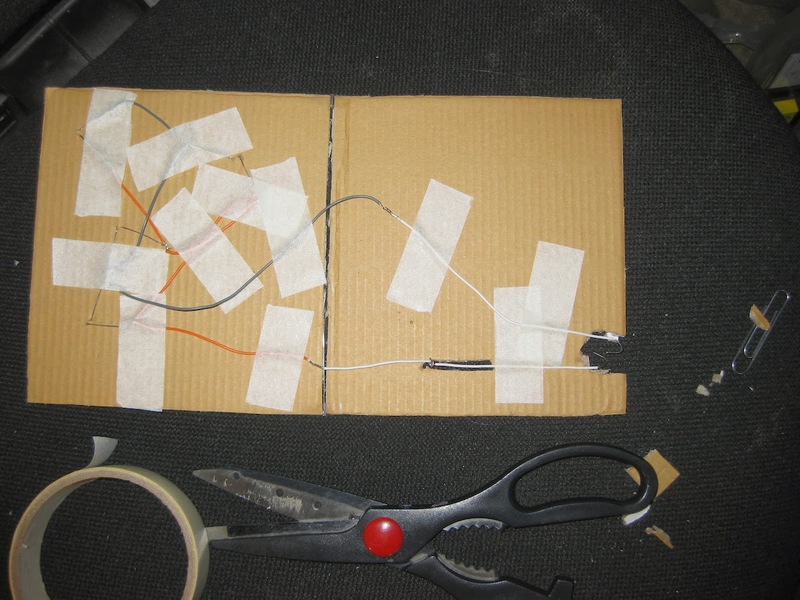 Poke LEDs through the front card and bend the legs flat. 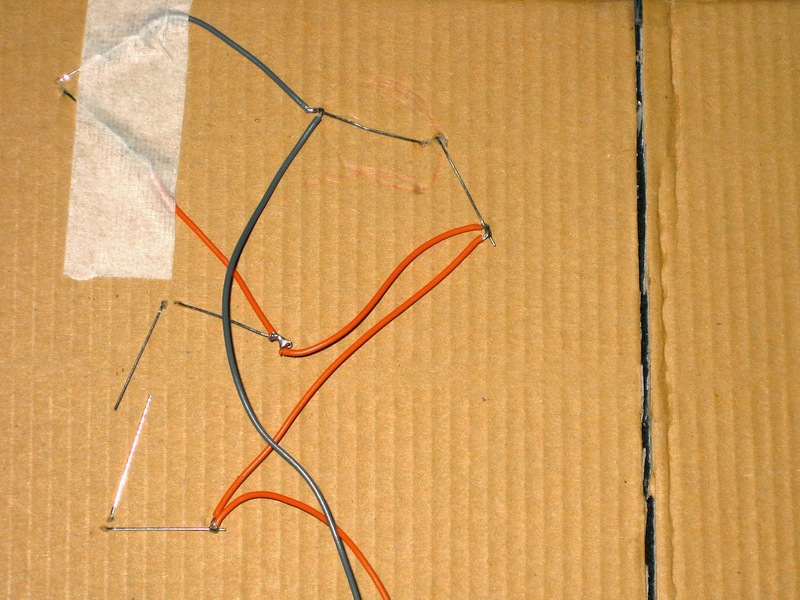 Join the LEDs in parallel: that is, solder all the short legs together with one wire (in this case grey) and solder all the long legs together with another wire (here orange). Use the thinnest wire you can find: AWG 24-26 is ideal. 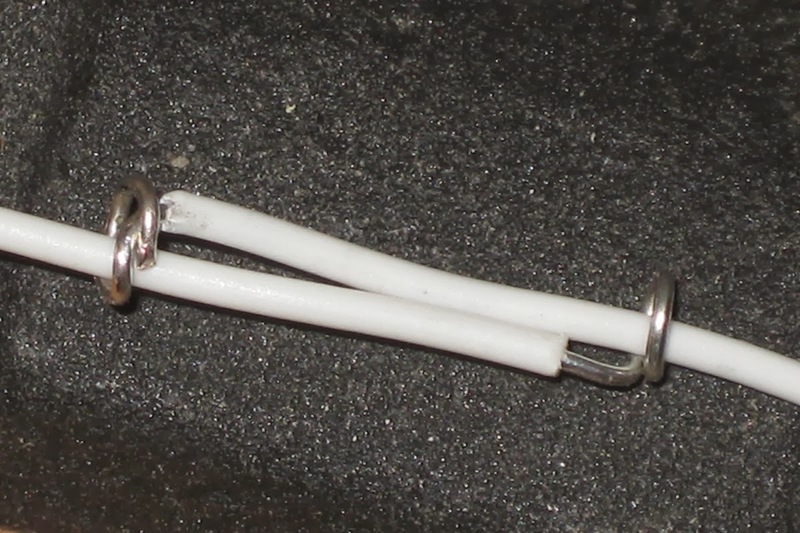 Make a simple switch using interlocking loops of solid core wire. 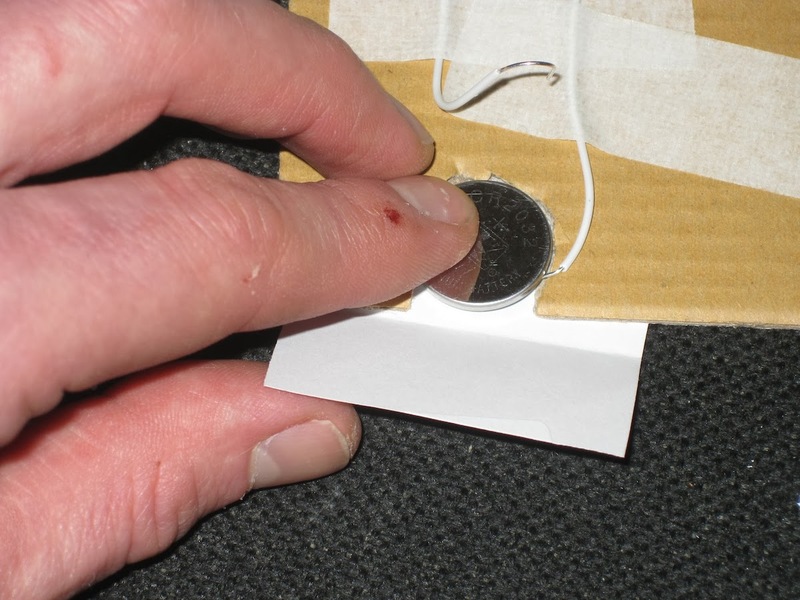 Cut a slit in the back of the card to accommodate the moving part, and make a paper sleeve to hold it flat. 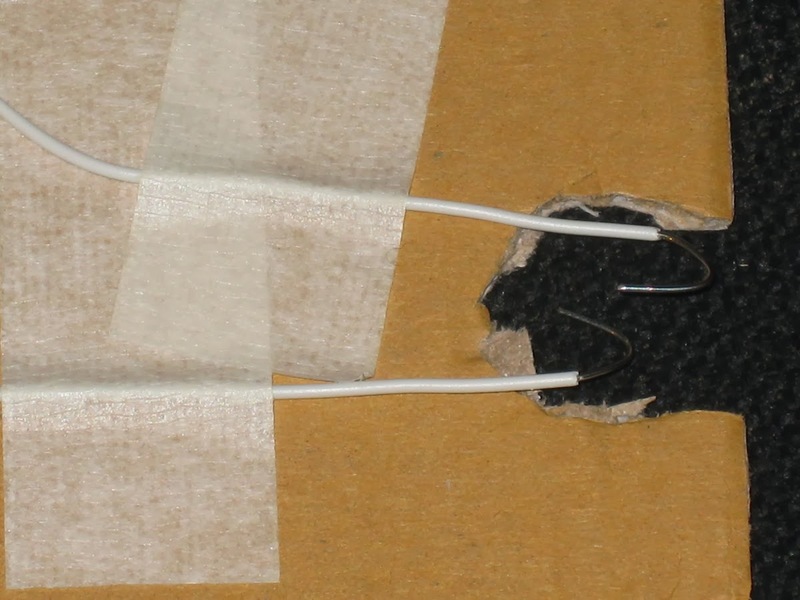 Make the battery holder from of 2 pieces of solid core wire with exposed ends. 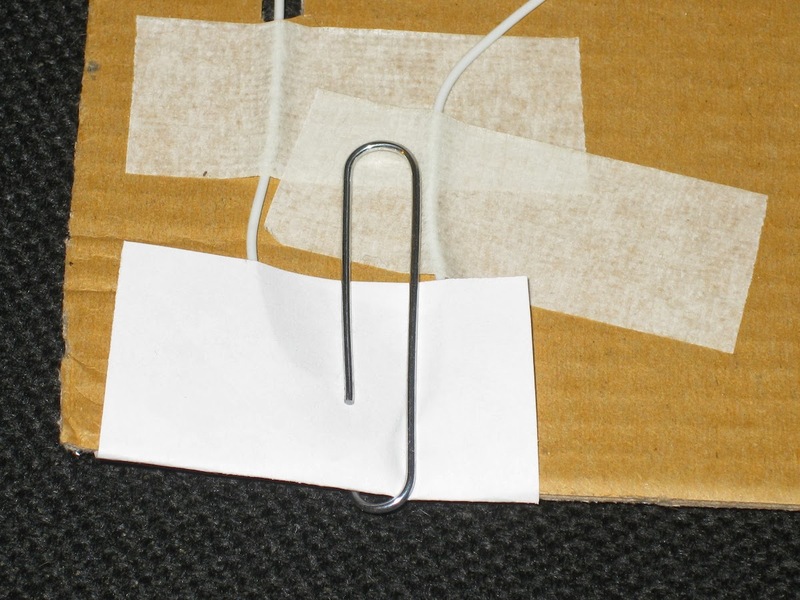 Fold a piece of paper over the battery and secure the wires with a large paper clip or hair grip. The positive terminal of the battery (marked +) attaches to the long legs of the LEDs via the switch. 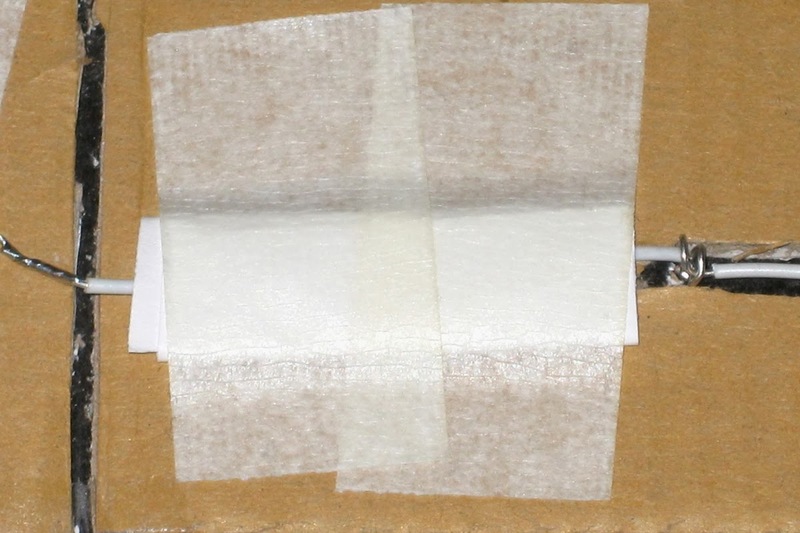 The negative terminal of the battery connects to the short legs of the LEDs. 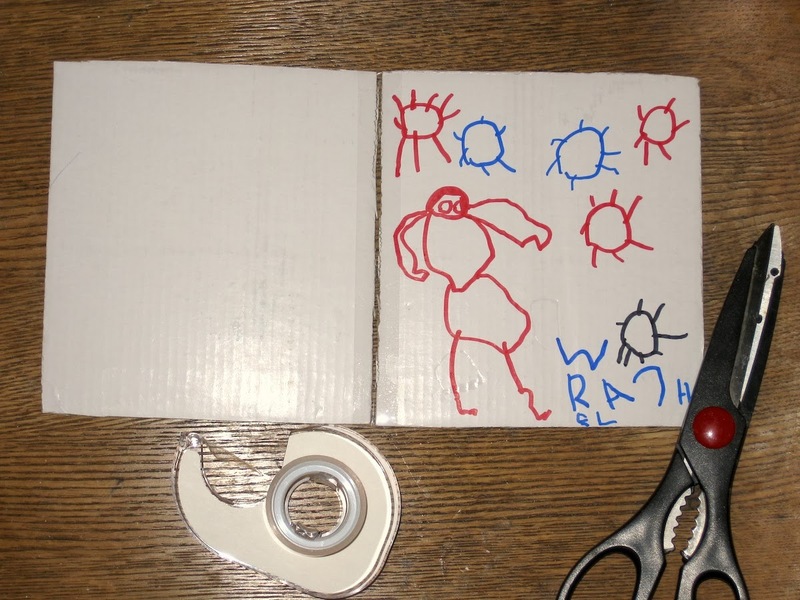 Lastly, cut a piece of paper to fit the inside of the card, get the talent (pictured below) to complete the artwork, fold it in half, and secure to the vertical edges of the card with tape.